Manage your data, reclaim your privacy. 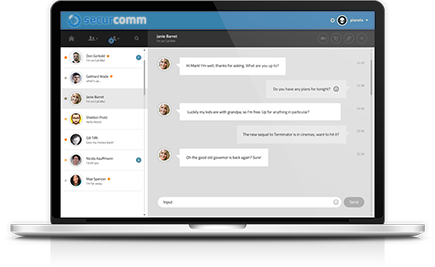 securCom is the leading encrypted messaging and video communication business solution that provides a world-class secure, unified communication infrastructure for corporations of any size and in any industry. securCom can and will protect your communication privacy whilst allowing you easy access to messaging, audio and video communication in addition to a secure encrypted file transfer service. securCom simplifies and secures enterprise communications. Keep the most critical information safe, organization better and more efficiently, and revolutionize the way business works. Our appliances provide all securCom features in a neat package whilst being totally scalable and easy to install, configure and maintain. You can choose from different models and packages to suit your corporation's needs. Our platform is fully flexible and tailored to your needs. securCom software allows us to make dedicated applications which can be seamlessly integrated to your existing software solutions. Our SaaS and Cloud Services can provide fully functional and encrypted enterprise communication service without complications and unnecessary expenses for your company. A fully managed platform for you, where you won't worry about security and updates for your software. securCom helps you collaborate with all departments and partners, in any location around the world. Sign up today and get free trial. For all securCom enterprise customers we provide online support. As our customer you can contact our online support from Support center or through your account manager. 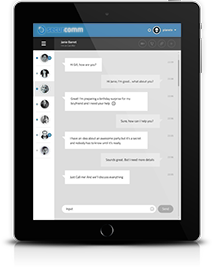 With our peer-to-peer communication combined with end-to-end encryption we can guarantee that no one can listen in on conversations and highjack content. Take advantage of exclusive offers and opportunities to grow your business in tandem with ours. Become a partner and explore new possibilities. 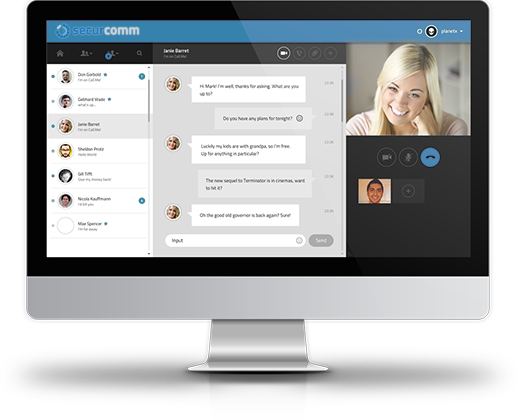 To provide the best and most secure business communication platform for you. To enable you to talk, discuss and converse in peace and in privacy.